September 27, 2018 — We’re days away after the successful 18th Annual ACPAPP Convention in Cebu. It has been truly a wonderful experience for all of us as we have been able to meet various CPAs and tax professionals at our exhibitor booth, talk with them and share how the features of JuanTax could make tax filing a lot more easier for everyone. Speaking of features, we would like to make an announcement of the new and upcoming features that were, and will be added to our tax software in the near days to come. So what are we waiting for? Let’s get to it! 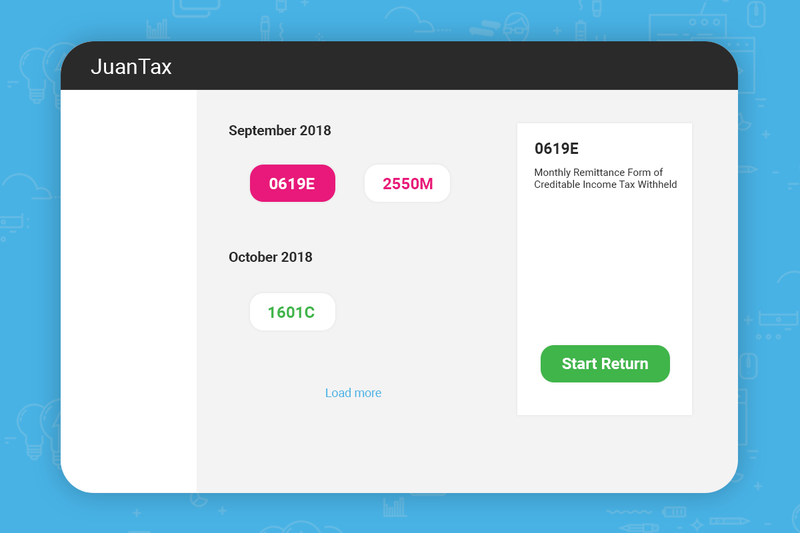 We would like to announce that our tax software now has an improved Dashboard which lets you get a quick view of your tax forms inside JuanTax! With a glance, you will now be able to identify which tax forms are needed to be submitted, as well as the ones that needs your urgent attention. There will also be a tax history menu which helps you get a complete forecast of taxes that you filed using JuanTax. The interface of the dashboard is patternized with our Organization portal so that once you login to our tax software, you would get an eagle-eye view of the tax returns across your created organizations in your JuanTax account. Not only that, our improved version of the JuanTax dashboard also comes with a Transactions module which lets you create invoices and bills directly from JuanTax without the need for assigning it to tax reports. Start creating those transactions in JuanTax and we’ll do the rest! Visit this article to learn more about our new JuanTax Dashboard and Transactions Module. We would also like to announce the launch of our JuanTax Mobile app which lets you create transactions directly from your phone with a snap! Entering transactions one by one is quite a hassle, especially if you’re the busy kind. Not only does manual data entry takes a lot of your time but it keeps all those paper documents like receipts, bills and invoices, that can be quite annoying especially if you start seeing them piling up at your desk every day. No worries! Because our mobile app can help you solve all these paper dilemmas. JuanTax mobile lets you keep a record of your receipt by simply taking a picture of it using your smartphone. Not only that, since our mobile app uses OCR ( Optical Character Recognition), you’ll never have to enter those transactions one by one, instead the scanned image of your document will be turned into a digital data that will be automatically pushed within the Transactions module of your JuanTax account – both in web and mobile version. Thus, making it a lot easier for you to create accurate reports and file tax returns in a breeze! 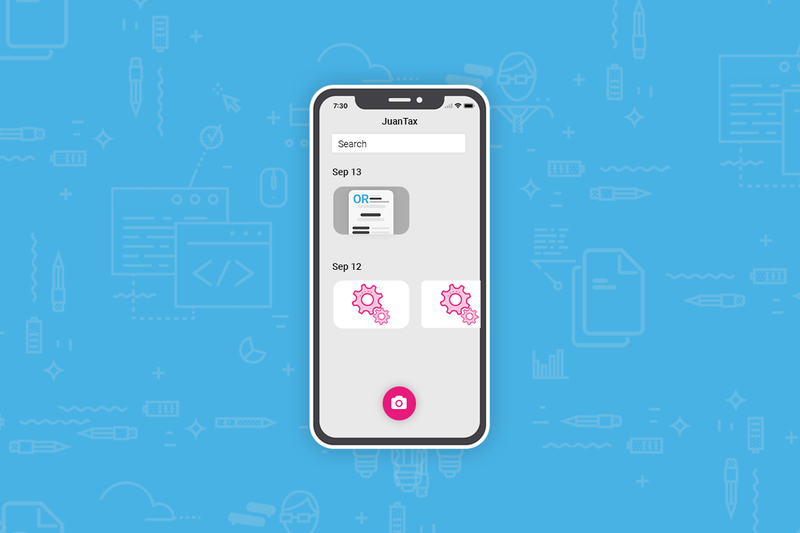 Learn more about our JuanTax mobile app by visiting this article. 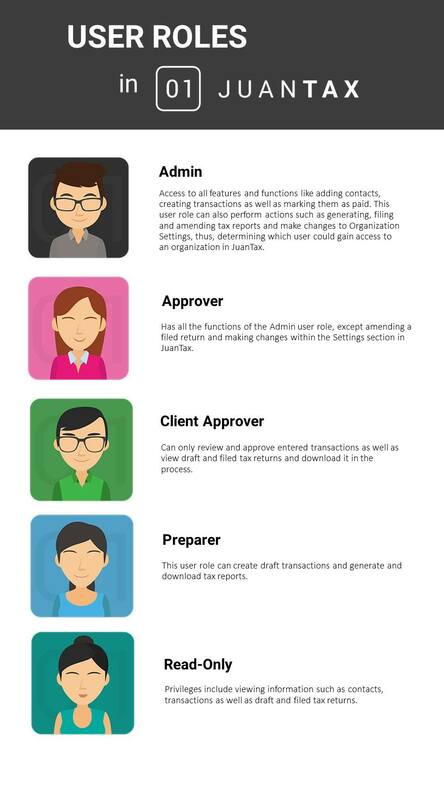 We always wanted to ensure that security would always be our top priority whenever you use our tax software and we wanted to keep that protection even while you’re collaborating with your colleagues in the process, which is why we’re also looking forward to release 5 new User Roles within JuanTax. Check out this article from our Help Center for you to learn more about User Roles in JuanTax. We are fully aware that Books of Accounts plays a vital role since it’s a documentation of your business’ day-to-day transactions which is also one of the main requirements in registering your company with the BIR. Aside from entering transactions within the system, what we wanted to envision is for our tax software to provide you with the things you need once you start your own business from scratch. That is why we’re pleased to announce that JuanTax will also be supporting loose-leaf formats of Books of Accounts to support one of the tax software’s most requested features. What’s in the Books of Accounts? With our books of accounts, you’ll just have to enter your invoices and bills in our Transactions module, and all amounts will automatically be published in any of the reports mentioned above. There’s no need for you to reformat the report based on BIR’s pattern of books and most of all, you don’t need to manually enter those transactions, thus minimizing hassle and inaccuracy! Please stay tuned for more updates regarding our books of accounts function in JuanTax. For the meantime, you can start doing your taxes right by visiting https://juan.tax/ and Sign Up for a free trial.